At Black & Gold Chiropractic & Wellness, we want to help you get active and feel your best. We offer a variety of techniques to get you on the path toward wellness. Dr. Jake is a Certified Chiropractic Extremity Practitioner (CCEP). Chiropractic means so much more than a straight, healthy spine. It also means optimum extremity function and performance along with; balance, energy, pain reduction/elimination, nutrition, brain and organ function, muscle performance and development, and much more. That’s why many collegiate and professional sports teams and associations’ team doctors are CCEP’s. 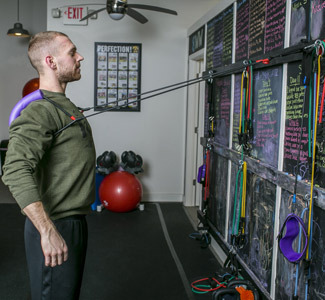 Find out more at www.councilonextremityadjusting.com/about-cea/ Let Dr. Jake treat and care for all of your sports related issues and concerns. Dr. Jess is trained in Acupuncture and Traditional Chinese Medicine to help her patients alleviate pain and improve function. 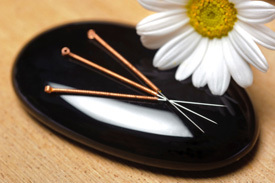 Acupuncture involves inserting very thin, sterile needles into different locations in the body. It is a generally painless and comfortable experience. Acupuncture and supportive therapies are helpful in treating many conditions such as arthritis, back and neck pain, extremity and joint pain, sinuses/allergies, anxiety/depression, infertility and many others. It is also helpful for weight loss, smoking cessation, mental clarity, and overall well being. Stop in soon to see Dr. Jess for a relaxing treatment. 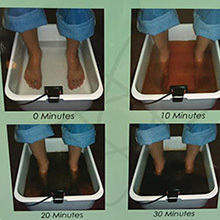 Patients relax with their feet in a tub of warm water while the Ion Cleanse generates positively and negatively charged ions in the water drawing toxins and impurities from within your entire body out through the pores in your feet. Water goes from crystal clear to a mucky toxic mess, but better out than in! Regular detoxification is recommended for most individuals aged 2 and above. Common conditions helped: Fibromyalgia, Edema, Arthritis, Heavy Metal Poisoning, and many more. After a detoxifying Ion Cleanse, most individuals feel lighter, have more energy, and a greater sense of well-being. If you live on this planet, you’re toxic. The Ion Cleanse is designed to help reduce your overall toxic load, helping you to live a healthier life. Find out how Black & Gold Chiropractic & Wellness’s various techniques and services can help improve your activity level and reduce your pain. Call today at (319) 337-6000 to schedule an appointment.